Under the direction of Peggy Gale, Art Metropole was one of the first organisations in the world to curate, archive and distribute artists’ videotapes. This was a very exciting time for this medium, then only about a decade old, as video equipment itself moved from reel-to-reel to cassette, from PortaPak to Camcorder, and the battle for Betamax was lost to VHS. I worked with Peggy and with General Idea — the founders of Art Metropole — to develop distribution networks and exhibitions of video by artists; co-authoring, compiling and helping to produce the first printed catalogue of AM’s video stable. This is still an amazing document, listing early works by some of the most exciting artists in the field — Ant Farm, General Idea itself, Lisa Steele, David Askevold, Colin Campbell, Bill Viola and more. At the time, there were few curators in major museums who were up to speed with artists’ time-based work in performance and video. One of the few was — and still is — Barbara London, of the Museum of Modern Art, New York, who has continued to evolve and renew herself as a curator alongside the field itself. Barbara bought a number of works by Canadian video artists and others from Art Metro while I was there. 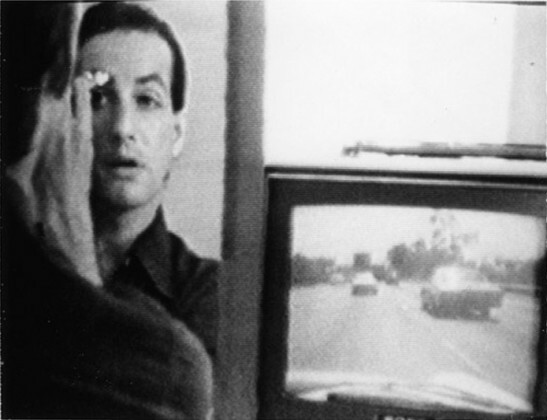 In 1980, the Canadian representation at the Venice Biennale showcased video artists in an exhibition curated by Bruce Ferguson with co-ordination and support from Art Metropole. This project took me to Venice for the first time, and I accompanied General Idea to the Basel Art Fair that year as well. It was a crash-course in the art world, and a very different world it was then. I was particularly interested in the way in which formal and technical aspects of video informed the way that artists used it. It may be amusing now to hear that the advent of colour video — until the late 70s financially out of the reach of most artists — had a big effect on the kinds of tapes being made, but so it is. Invited to speak at the Nova Scotia College of Art, that was the subject of my presentation. In 1981 the Ikon Gallery in Birmingham, then run by Antonia Payne, invited me to curate a group of videos for a larger exhibition entitled Canada in Birmingham. I included work by Robert Hamon among others, and Ed Lam, my student at the Ontario College of Art and Design — where I was co-teaching the performance and video programme with Noel Harding. During my time at Art Metro, I also sat on the Board of Trinity Square Video, an artist-run production and post-production centre in Toronto which was instrumental in the development of video art in North America. Though the main distributor for artists’ videos in Canada is now VTape, Art Metro is to this day a significant hub for artists’ books and multiples.